25" x 20" x 24"
These pretty side tables showcase the beautiful continuous grain wrapping around their waterfall sides. 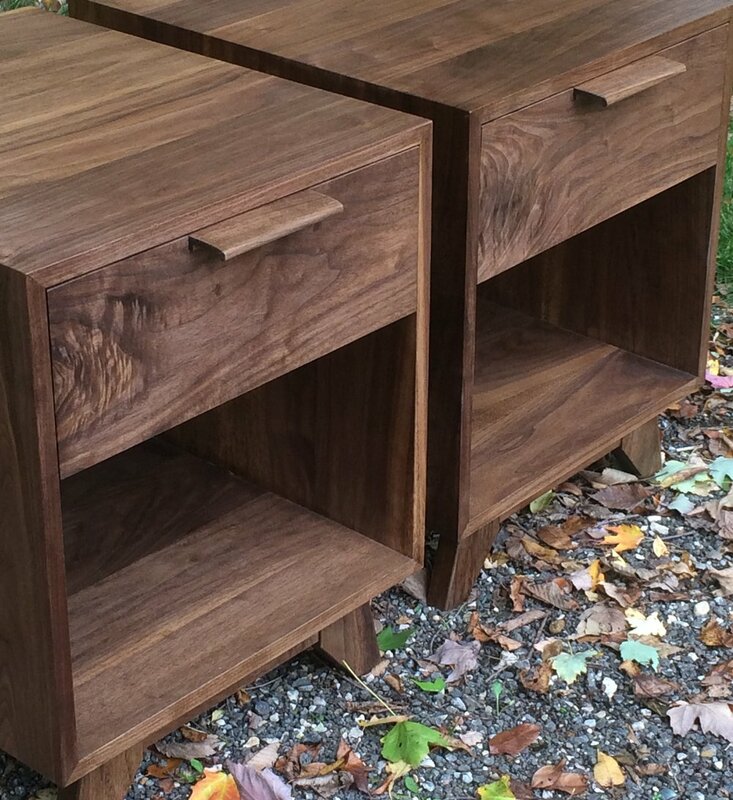 All solid walnut construction, the mitered case joinery is reinforced with handmade right angle tenons. 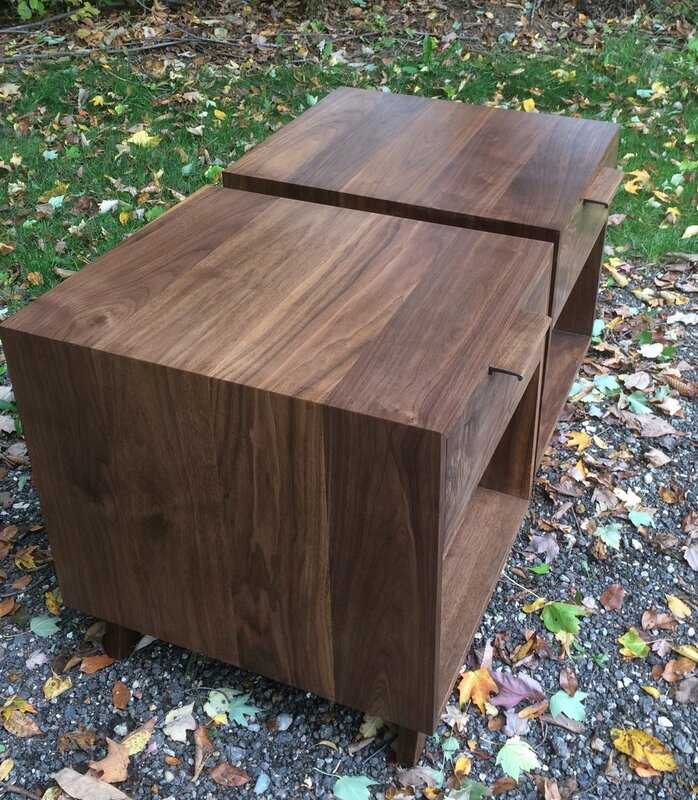 Hand shaped walnut drawer pulls are attached using brass pins that match the pins in the rabbited maple drawers.